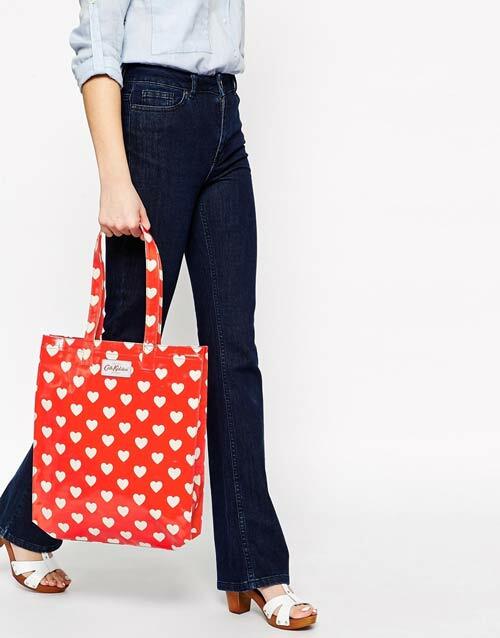 This all over heart pattern tote reminds me of a raincoat I used to have when I was three years old. I loved that coat. It was navy blue with big red hearts. I’d wear it with rain boots and jump on puddles all afternoon. Grab this tote full of hearts and play like your inner child wants to! 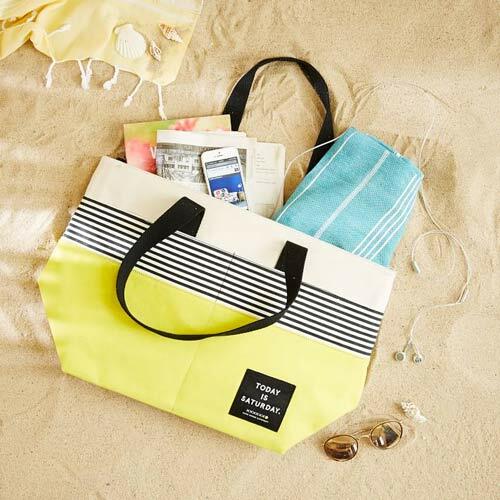 West Elm has a wonderful Beach tote available with wet garment compartments and pockets. Stick your wet bathing suit in its own compartment or take this tote to the gym and stick your stinky clothes in their own pocket. This enormous SALT SURF Tote Bag fits your gigantic beach towel. We all like a little extra space on our beach blanket so that we have a sand free zone in the middle of the towel. Now you don’t have to think about carrying that giant towel around. Simply stick it in your tote bag and head on out to the seashore. I love summer because it’s watermelon season. I can have watermelon juice to my heart’s content. You walk into the grocery store and they have mountains of watermelons for you to pick from. 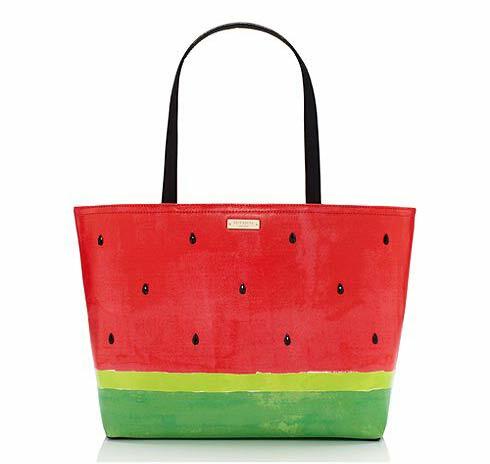 Now I can show my love for watermelon with this colorful tote by Kate Spade New York. The neoprene trend is in full swing with neoprene skirts, rash guards, and dresses. Now you can carry the neoprene trend with you where ever you go. This fluffy tote will protect your stuff. 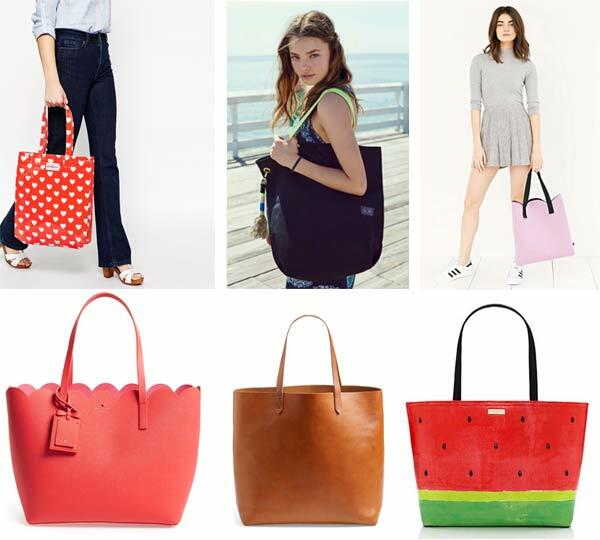 This bright scalloped edge tote is the perfect bag for the summer. It’s spacious, stylish and sensible. 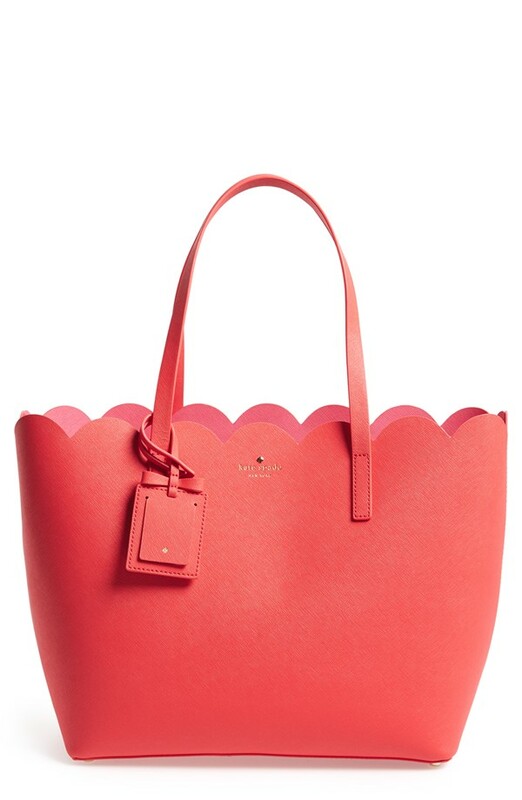 The main reason I am adding this tote to my wish list is that I absolutely adore scalloped everything. It doesn’t matter whether it’s a bikini, dress, top, bag, wallet, or shoes – if it’s scalloped I most likely want it. 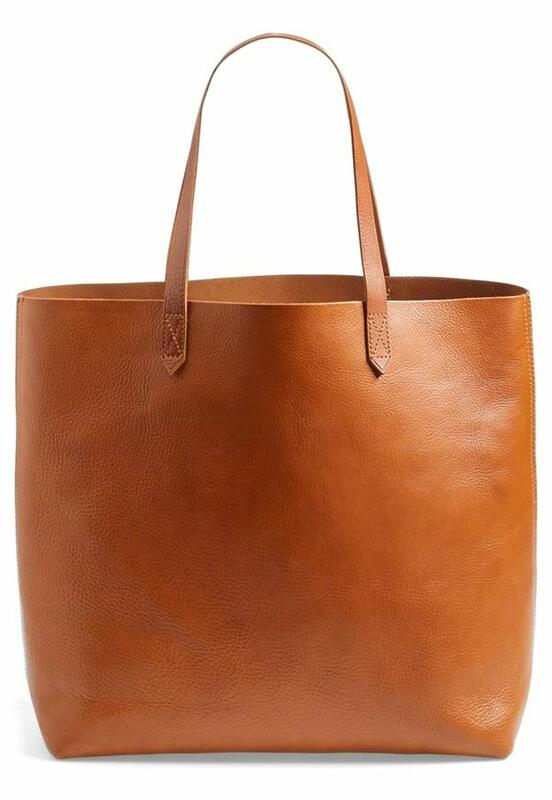 This stylishly plain leather tote is the perfect bag to take to the farmer’s market. 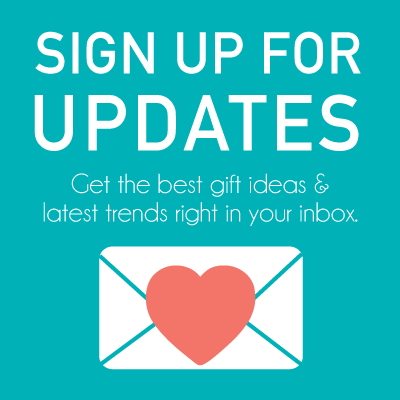 You can fill it with veggies or flowers and carry it around comfortably. Can you picture this tote full of colorful tulips? Gorgeous.